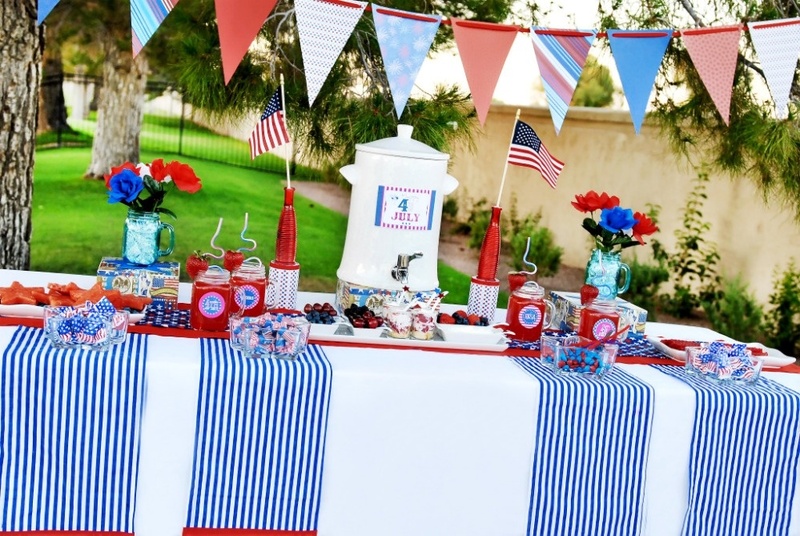 Fourth of July is coming! Are you ready? Or more importantly, is your landscape party ready? With less than a week to go, our maintenance teams are ready to lend a helping hand for party cleanup. We can prune, weed, and replant! Call us now to get on our schedule for a quick spruce before the neighbors and in-laws arrive! Take a look at our hottest summer upgrades! Now is a great time to design and install affordable solutions to beautify your property - landscape upgrades you can enjoy for the rest of the summer and fall season! 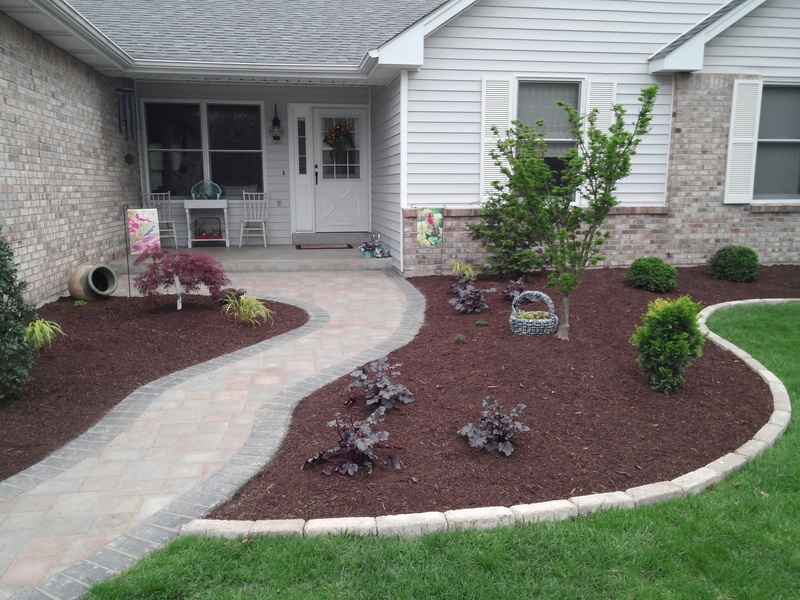 Keep your flower beds well maintained - and your fresh new mulch in place - with landscape edging. We'll meet with you to select the best option for your yard, with options of materials like brick, stone, or aluminum. One of our client's favorites seems to be the Bella Borderstone Edging (shown in a project of ours above) because of it's affordability and diversity. The small shape gives us unlimited design flexibility to border patios, driveways, sidewalks or beds. It comes in 4 different colors: charcoal, buff, red, and chocolate. The soft splash of a fountain brings life and motion to your backyard. It attracts more birds and wildlife than still water alone, and its soothing soundtrack transforms your space into a peaceful retreat. 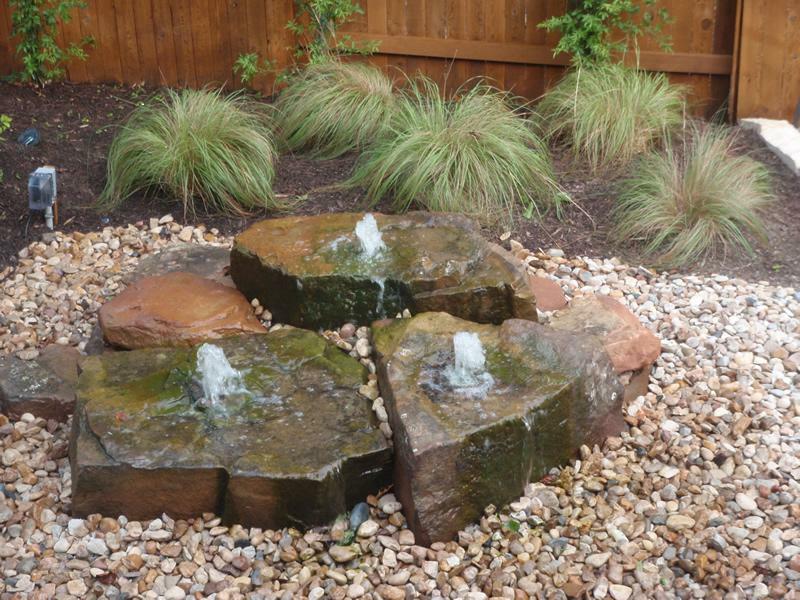 Getting your own backyard fountain installed by Dowco is simple. We'll meet with you and help you select your own custom color, shape and boulder size. 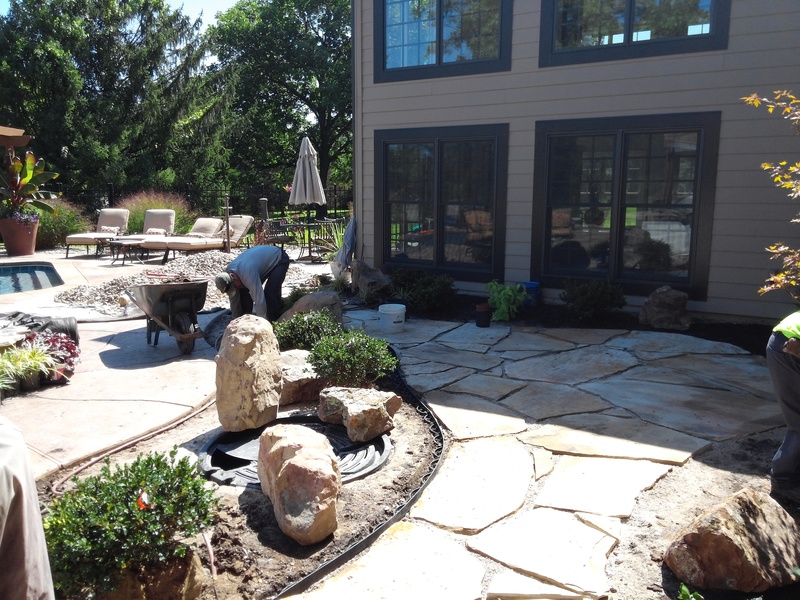 Whether you're looking to add an outdoor fire pit, replace a patio, or design a brand new walkway to the backyard, we have what you need to get the job done. Also, consider replacing your failing or old retaining wall this year. While total wall collapses are rare, tilting out or leaning is very common in poorly built structures. Sometimes it can be remedied by rebuilding or correcting the cause of the failure. Othertimes, we recommend starting fresh with new material. FAQ: If it rains do I still need to water my plants? It depends. Sometimes the rainfall is enough to water your plants, but the best way to know is to feel the soil. However, during hot summer months and early fall, natural rainfall is not enough. Often, rain received during these periods produces mostly runoff and contributes very little to your plant's water requirements. To determine if your plants need water, we recommend gently digging around the root zone with your fingers, 2-3” for small plants and 6-8” for larger plants and trees. If the soil feels dry to the touch, water is needed. If the soil feels moist, you don't need to water. Whether it’s lawn mowing and trimming, tree care, shrub pruning, landscape bed maintenance, monitoring your irrigation system, or designing and installing seasonal color displays, we handle everything so you don’t have to. Send us a quick note with your project details and we’ll work up a quote for you.